Join Friends of the Rappahannock and the Fredericksburg Chamber of Commerce for our annual Big Fall Cleanup on Sunday October 7, 2018. 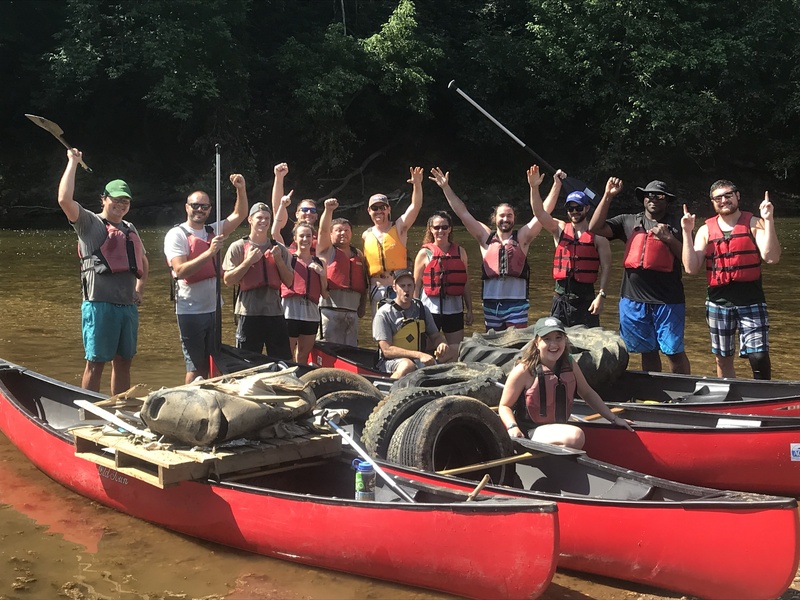 Cleanup crews will be canvassing the Rappahannock and nearby tributaries for tires, bottles, and other litter to keep our waterways clean. We are currently accepting reservations for cleanup volunteers. All participants must complete a WAIVER in order to participate in this event. Participants under 18 must have a waiver signed by a parent or guardian. Your cash donations go toward providing a free lunch for all volunteers, drinks, cleanup materials like bags, gloves, and litter-pickers, as well as other cleanup expenses. For information on sponsorships, please send us an email at cleanups [at] riverfriends.org.